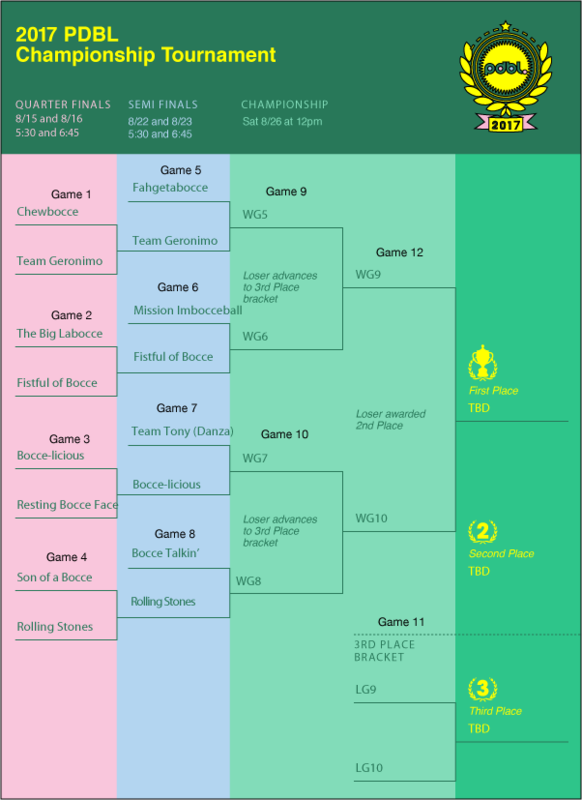 Congratulations to Team Geronimo, Fistful of Bocce, Bocce-licious and The Rolling Stones who were all victorious in the quarter-final matches this week! They move on to the semi-final round to be played next week! Here are the match-ups and updated bracket. Please note that as of right now there looks to be rain in the forecast for the Wednesday game. Monday is an open day if either of the teams that are schedule to play Wednesday would like to switch. Just let me know if that is decided. Next Article Next Article: Final 4! Copyright © 2019 Providence Downcity Bocce League. All rights reserved.